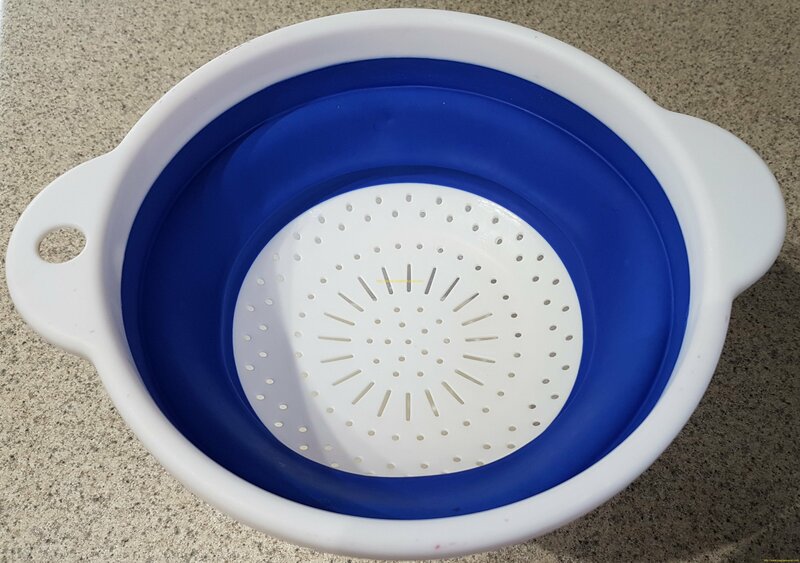 Utensils such as a plastic spoon or silicone spatula. Glass jar with plastic lid. 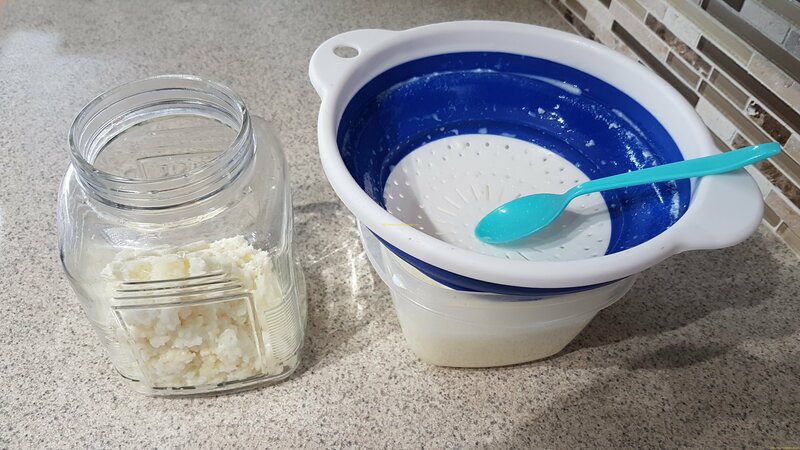 1-Transfer your kefir grains into the jar by using plastic or silicone spoon. 2-ADD 3 or 4 cups of milk into the jar. 3-Cover your jar with a plastic lid. 4-Place your jar in a warm place. 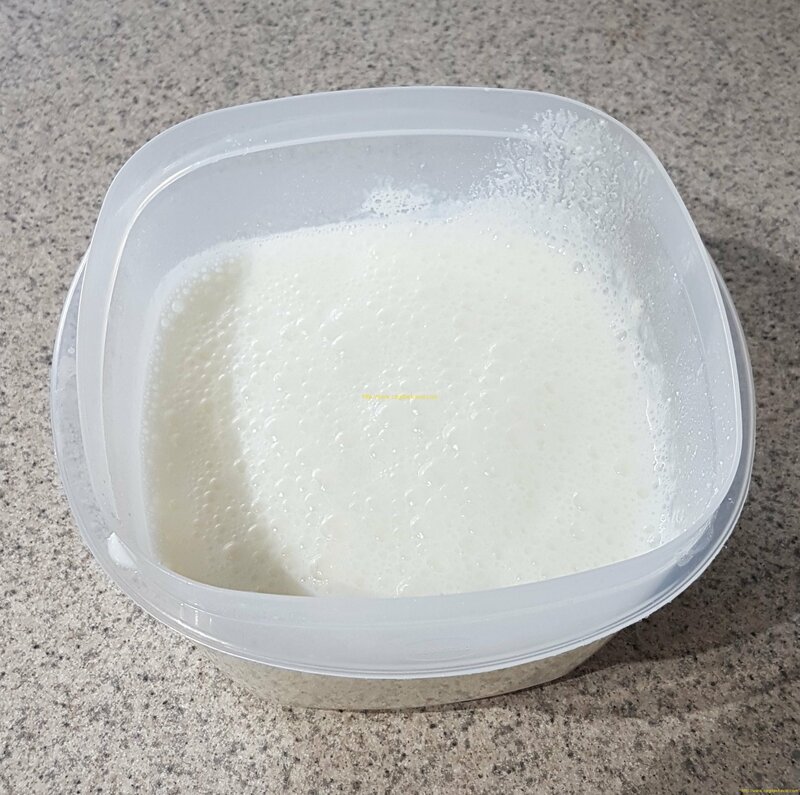 6-Strain your kefir milk with the strain into the glass or plastic container and keep this kefir milk in the refrigerator. Your kefir milk is ready to consume. Enjoy your meal! 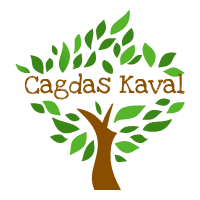 1-What is the best temperature to keep kefir grains during the fermentation process? 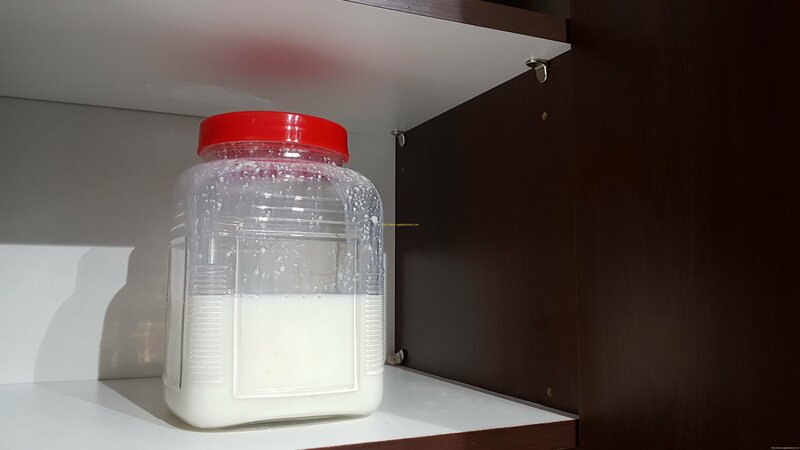 During The fermentation process, you can keep your kefir grains in the kitchen cabinets. The temperature should be warmer than 20 °c. If the room temperature is warmer than 20 °c, your kefir milk will be ready less than 24 hours. 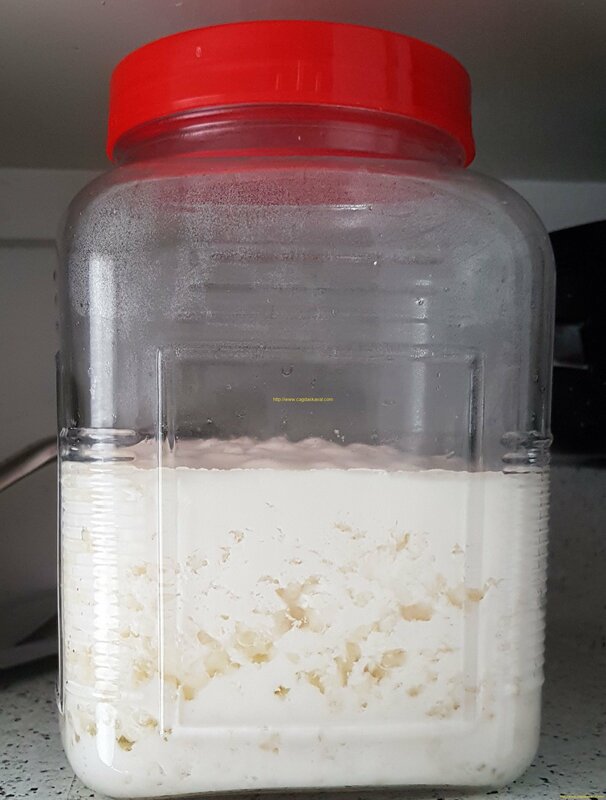 2-How big should be my jar to make kefir? I usually use the 1-liter glass jar to make kefir milk. Your grains will multiply during the fermentation process so in a month probably you will have at least 6-7 tablespoon kefir grains. You can share your grains with your friends or you can increase the amount of milk that you put in the jar and you can have more kefir milk. 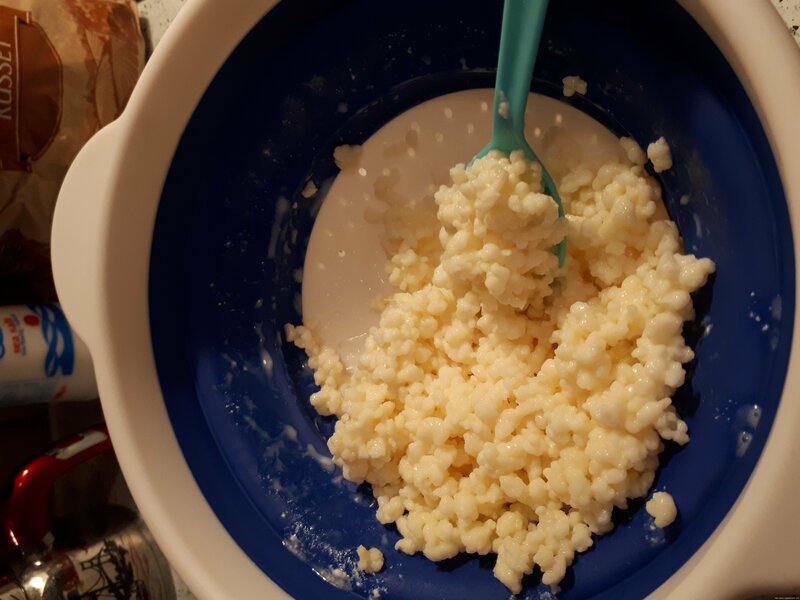 3-Can I wash my kefir grains with water? You can wash your kefir grains once in a month in the strain with filtered or boiled cold water. 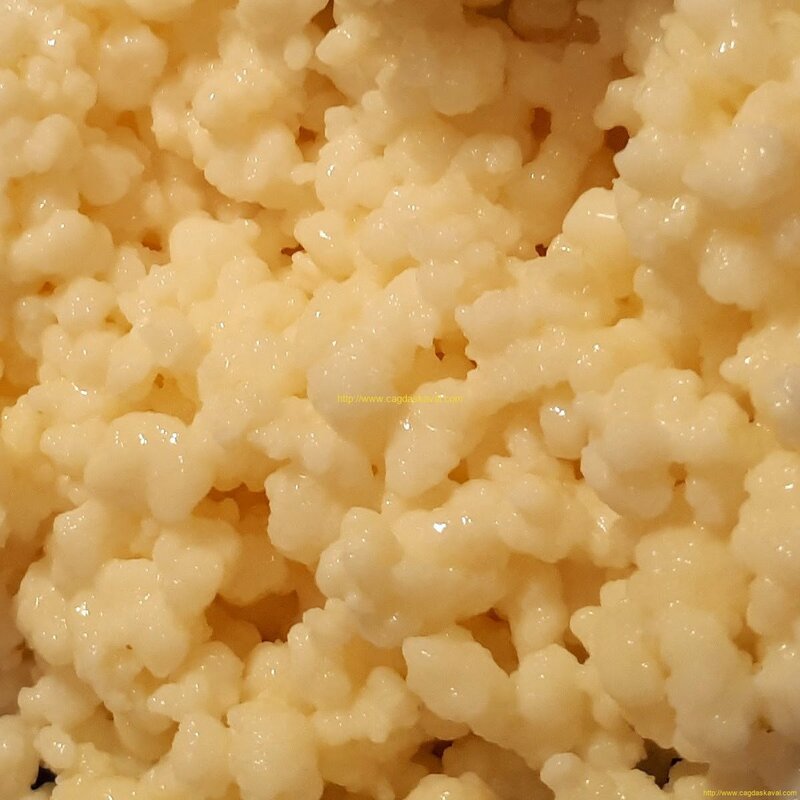 Do not wash your kefir grains with tap water. 4-What can I do if I have kefir more than I need? A-When you are serving soup or rice you can add a little kefir grain in it. B-You can add kefir grains to your dogs ‘ wet food. But be careful don’t give too much. I put only half tablespoon kefir grain in my dog wet food once in a month. C-If You like the taste of kefir grains you can eat it directly. 5-If I want to take a break from making milk kefir? What should I do? If you want to take a break from making milk kefir. You can keep your kefir grain jar in the refrigerator for 2-3 weeks. It will slow down the multiplying process. 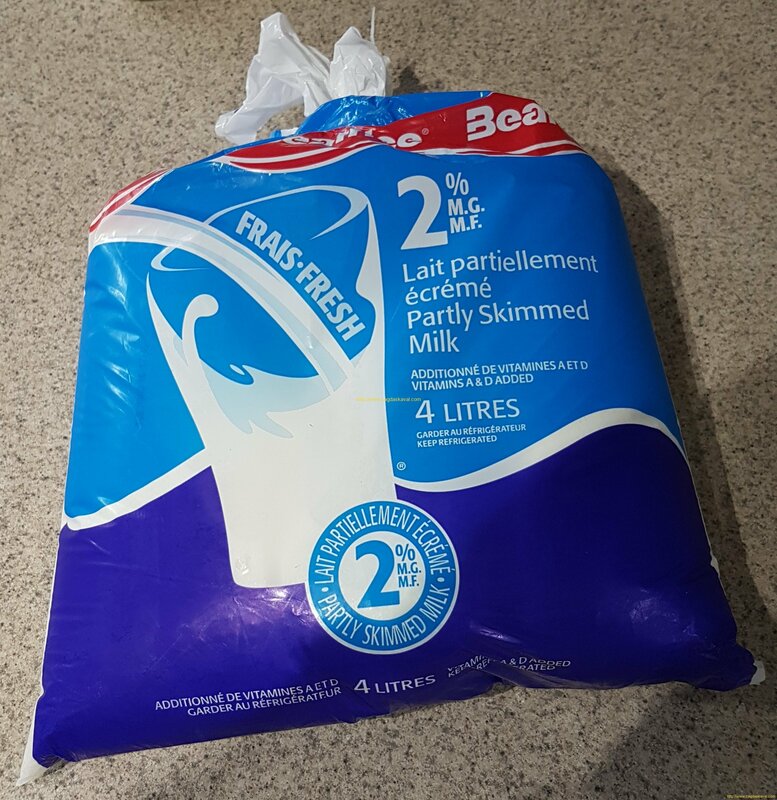 6-Where should I store my strained kefir milk? You have to keep strained kefir milk in the refrigerator. 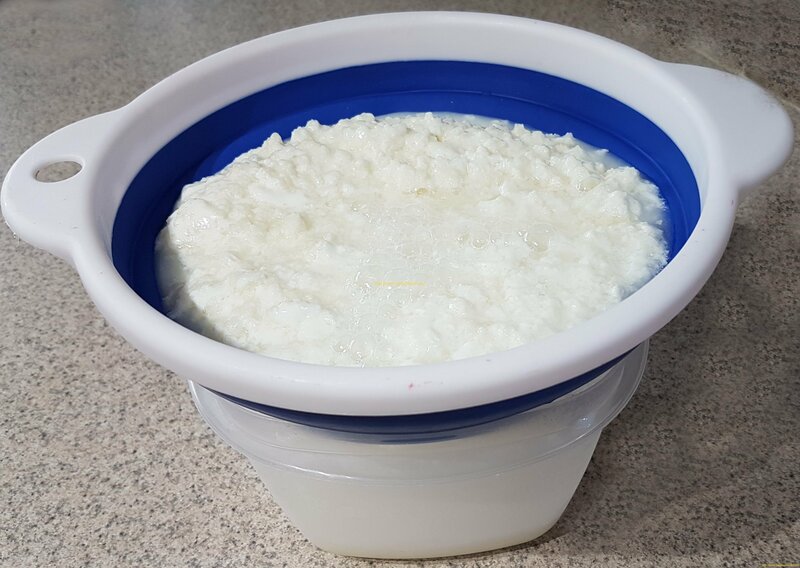 7-How can I consume the finished kefir? 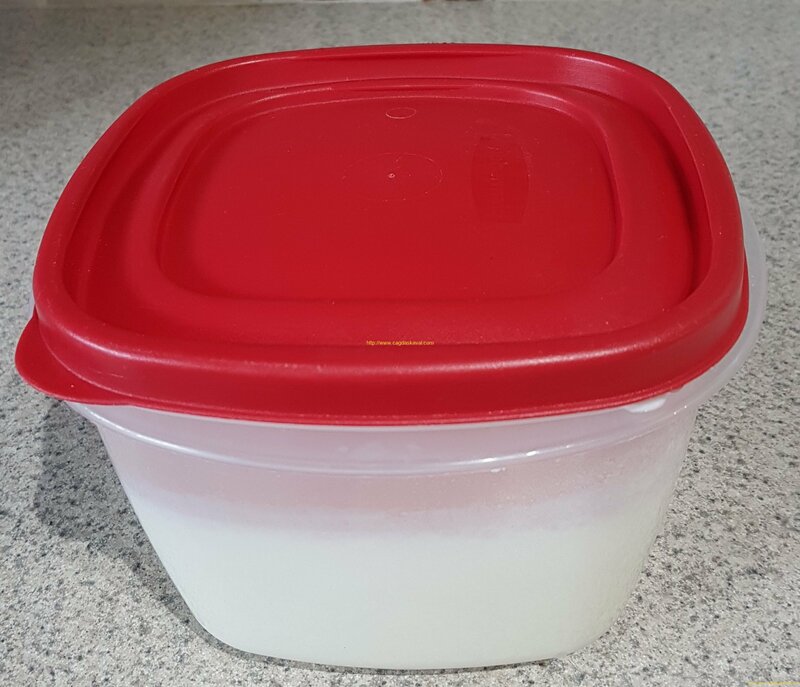 The traditional way of consuming finished kefir is adding a little bit of salt and garlic and mixing it. If you don’t mix it well it will taste sour or it will taste like beer. If you still don’t like the taste you can add a little bit of honey but especially Himalayan salt will give better and enjoyable taste to your finished kefir. Stir finished kefir with silicon or plastic spoon. For 2 glasses of finished kefir in the kitchen mixer or smoothie machine. A little bit garlic too. Mix it very well. I usually mix it for about 2 minutes.